We’re thrilled to announce that we’ve released Record Detective™ II, a powerful technology that advances your family history research further than ever before. 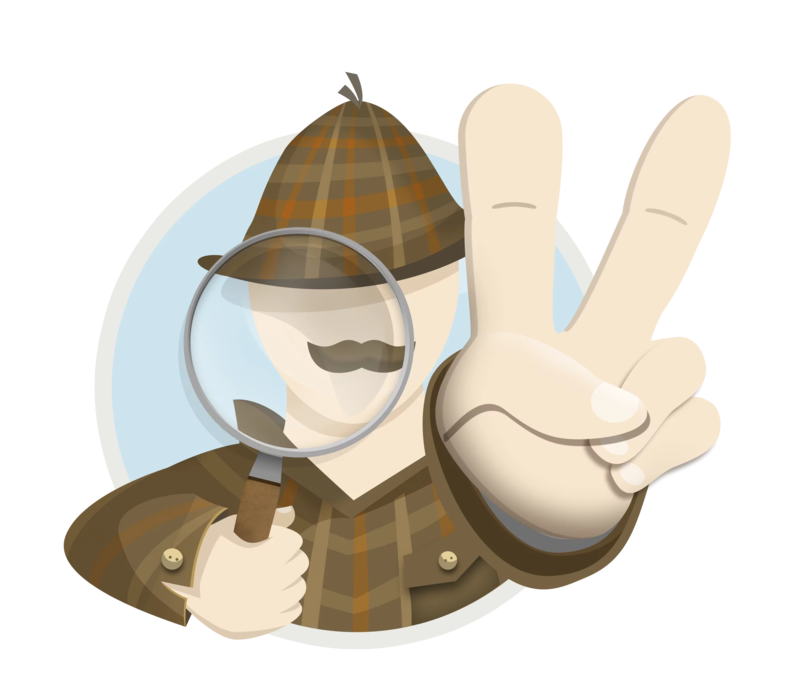 It was almost three years ago, when we announced the launch of Record Detective™, a technology that generates new leads and discoveries. 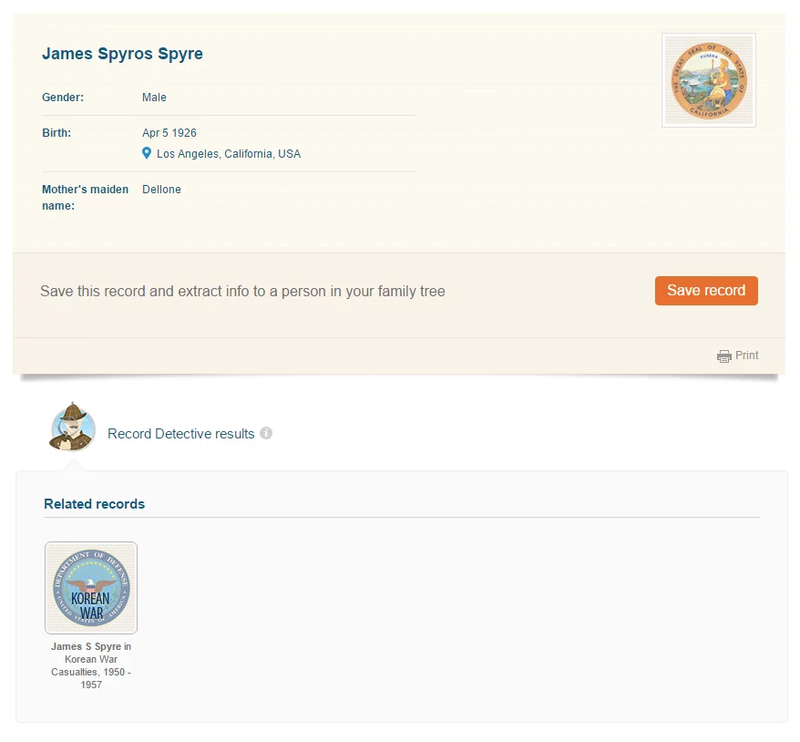 With the Record Detective™, records found in MyHeritage SuperSearch™ automatically point to additional records and family tree profiles relating to the same person. Previously, Record Detective™ used transitivity: if record A was matched by person B in a family tree, and person B matched person C in another family tree, and person C matched record D, then records A and D were considered matches and the Record Detective™ pointed from each one of them to the other. This allowed magical discoveries, for example, a birth record could point at a newspaper article about the wedding of the same person! This simulates advanced deductions that previously only a human genealogist could make, as the birth record doesn’t even name the person that our protagonist would eventually marry. However, this power came with a limitation: the Record Detective™ was only able to find information when there was at least one family tree profile on MyHeritage matching the record, and the existence of such a profile on MyHeritage isn’t guaranteed: about half the historical records on MyHeritage do not have a matching family tree profile yet. This limitation bothered our engineering team, and they set out to improve the technology. The next generation of this technology was supposed to be so good, that it would “seriously challenge the greatest Detective of all time”, and thus the project was fondly nicknamed “Professor Moriarty” by our team. The new generation of the technology released now, Record Detective™ II, overcomes the transitivity limitation and on top of all the matches it was able to provide before, it adds also direct record-to-record matches, even for records that have no matching family tree profiles on MyHeritage. The result is Sherlock Holmes on steroids: a much greater number of matching documents for each record. This powerful new technology has yielded a staggering number of 2.2 additional billion matches. Record Detective™ II provides new information and clues to take your family history research to newer heights. It does all this without sacrificing accuracy. 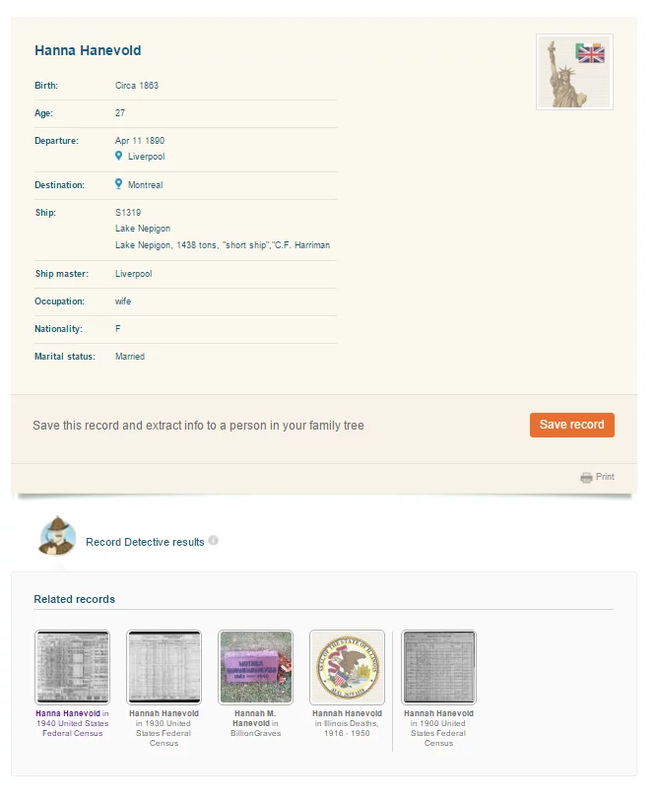 Imagine using the search engine on MyHeritage, and finding a record belonging to a relative of yours. Now that record won’t be a dead end, it will lead the way to other records about your relative. 1. 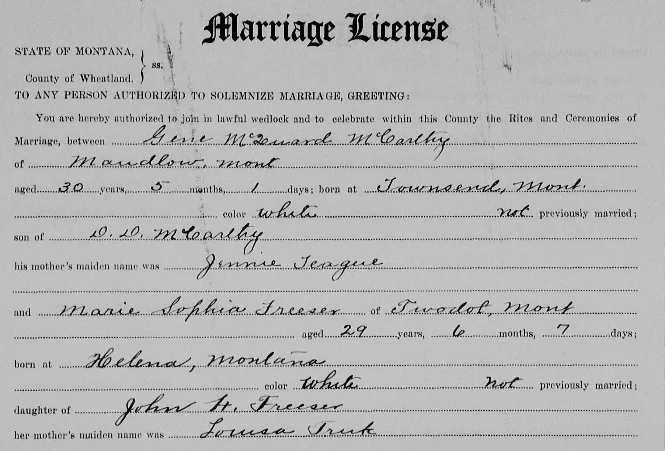 Marie Freeser, a 12-year-old girl from Montana in the 1900 US Census, is automatically matched to her marriage certificate – revealing everything about her husband and his parents, and we even get her yearbook entry which includes a surprise (see below). Record Detective™ results are always displayed at the bottom of each record. 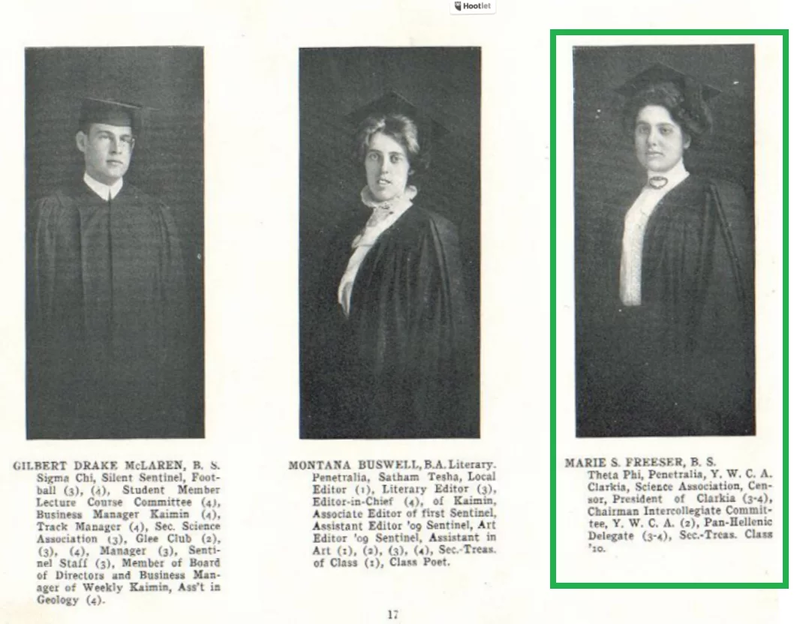 How exciting to see a photo of Marie at her graduation! 2. 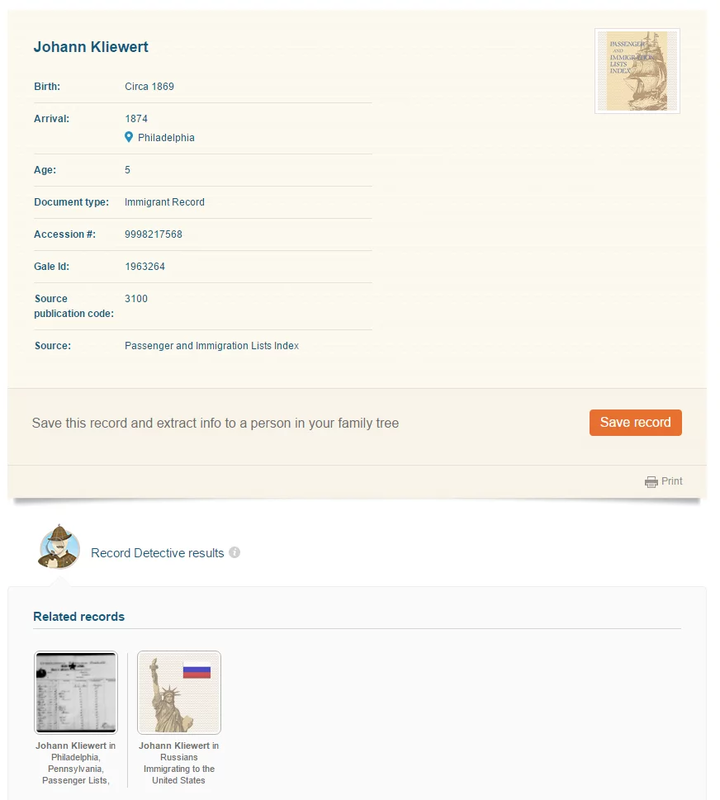 A relatively dull passenger record for Johann Kliewert is matched to a much more detailed immigration record that includes the names of his family members. 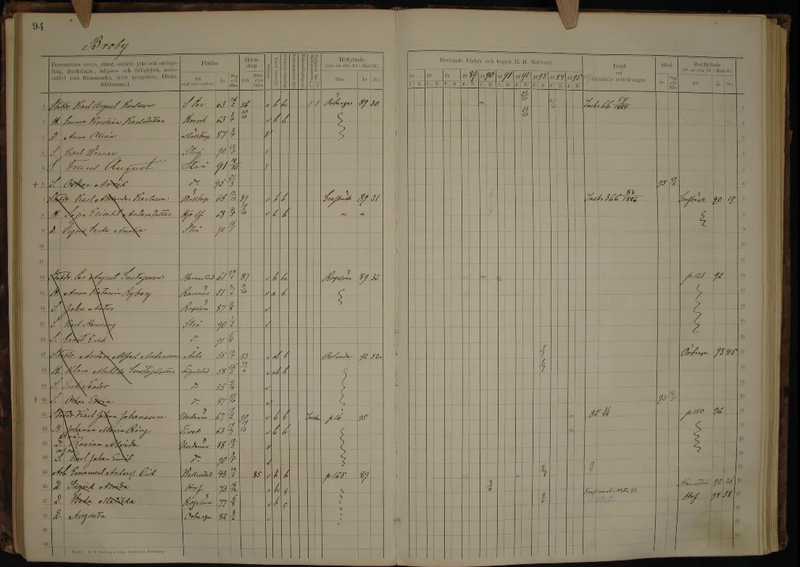 The matched manifest shows all family members, including their ages and occupations. In the manifest, we see that the Kliewert family were farmers and that Johann has three sons and four daughters. Even daughter Anna, 12, is listed as a farmer! 3. 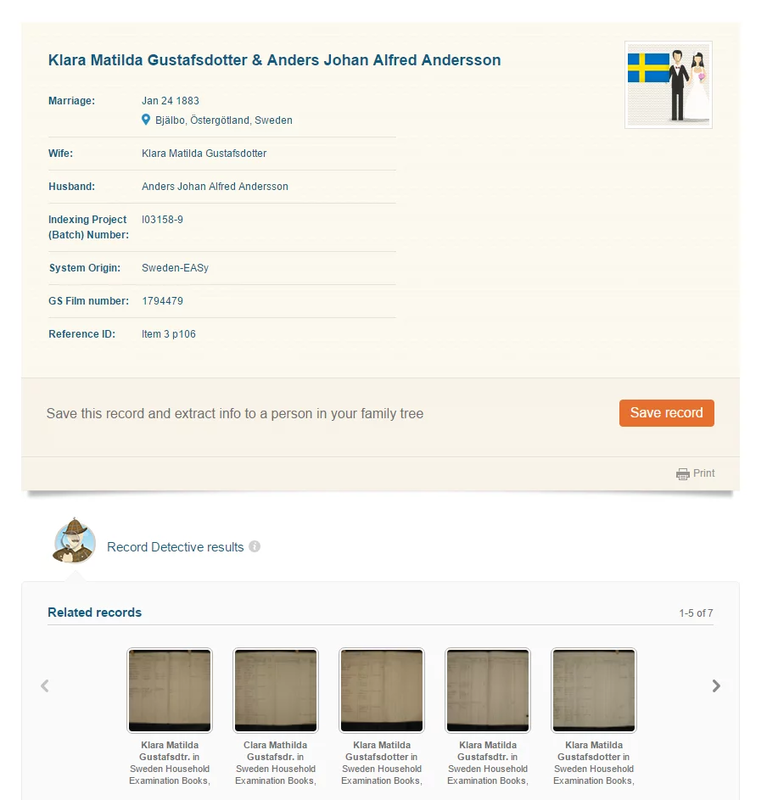 A Swedish marriage record for Klara Matilda Gustafsdotter and Anders Johan Alfred Andersson is matched to seven records in the “Sweden Household Examination Books” collection. We can trace the family from year to year, from place to place, throughout Sweden, as the family grew. 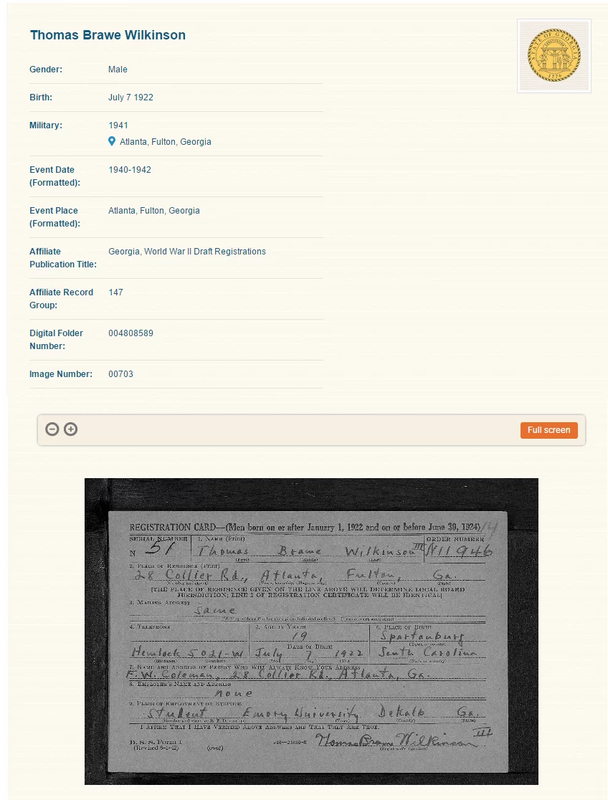 The fully indexed and searchable Swedish household examination records with color images can only be found on MyHeritage. For more details about this collection, see: Sweden Household Examination Books. 4. 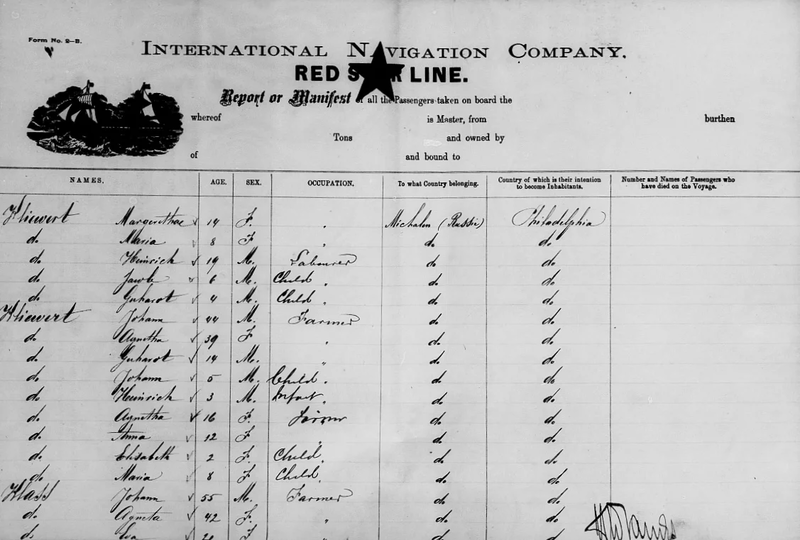 An immigration record for Hanna Hanevold, who came from Ireland to the US (via Canada), is automatically matched to three different US census records, allowing us to follow her life in the United States and, ultimately leading us to two death records. 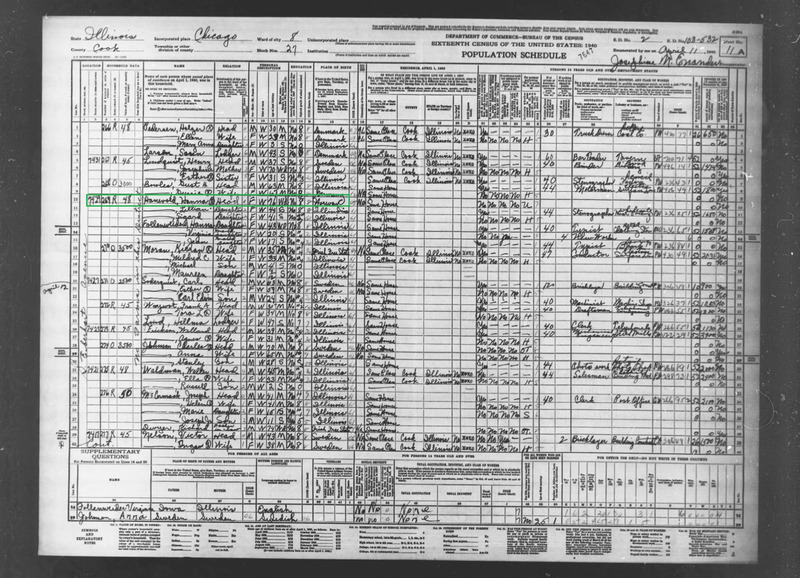 At age 76, Hanna is listed in the 1940 US census as head of household, living with three of her adult daughters ( 41, 43 and 44), and two granddaughters (17 and 20). 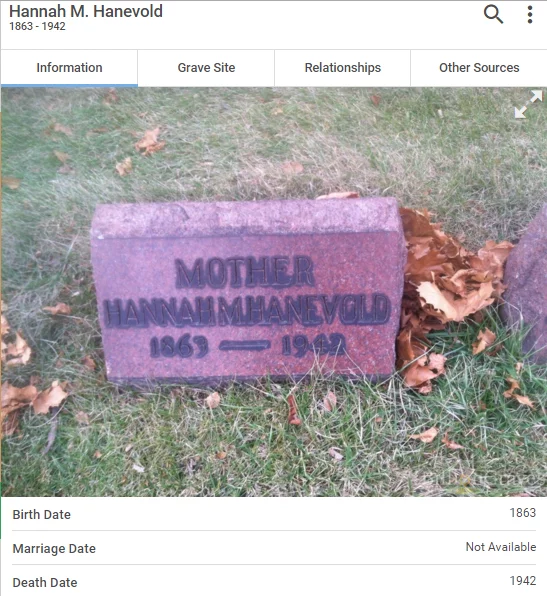 As seen in the matched death record on BillionGraves, she was remembered by her family as simply Mother Hannah M. Hanevold. 5. 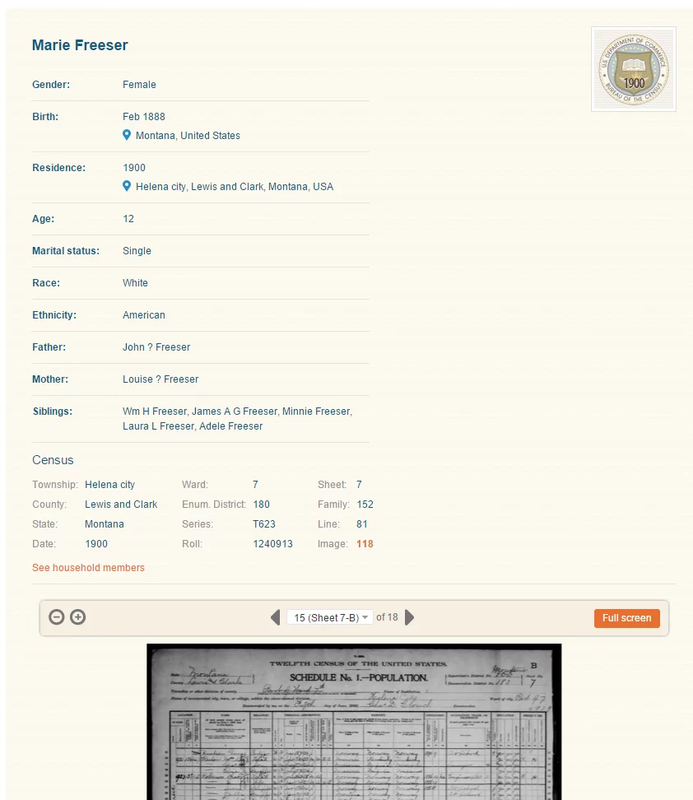 A US public record for Thomas Wilkinson, that includes his address and phone number, is automatically matched to his WWII military draft record, from 50 years earlier. Thomas filled in the form himself, and it includes his signature. The draft record shows where Thomas was living and what university he attended when he was 19 and on the verge of enlisting in the United States Army. 6. 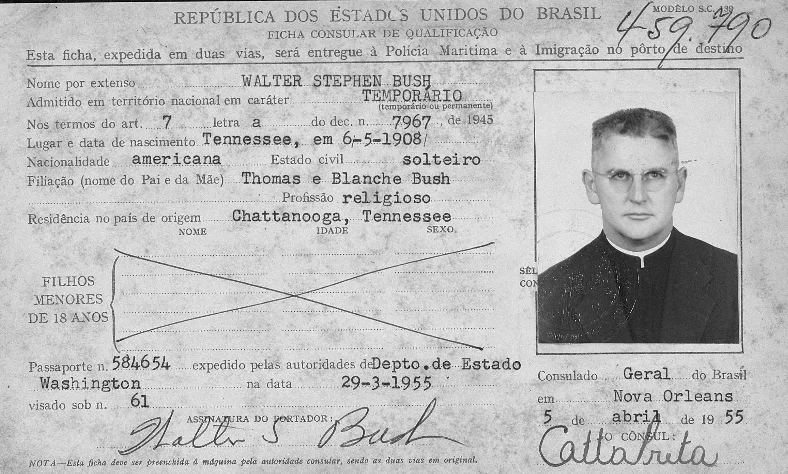 A US census record listing Walter Bush, then only 2 year old, is automatically matched to an immigration record of Walter arriving to Brazil almost 50 years later! Walter’s immigration card, showing his photo when he arrived at Rio De Janeiro, Brazil, captures an important moment in his life. 7. 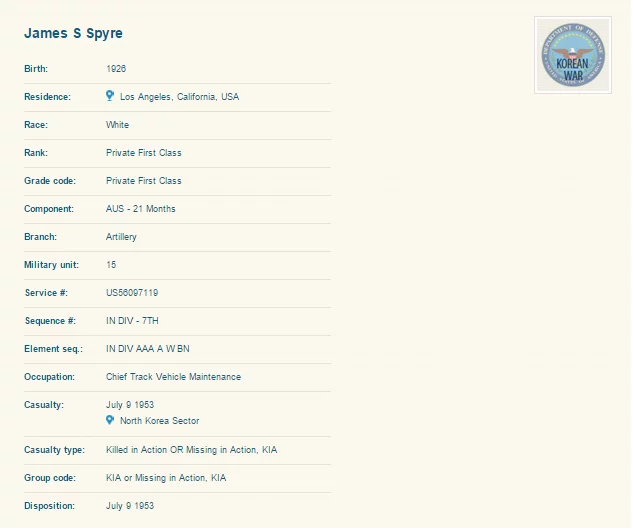 A birth record for James Spyros Spyre is automatically matched to a Korean War casualties record that reveals rank, military occupation, army unit, date, and shows that he was either killed or declared Missing in Action. Korean War casualties record for James Spyros Spyre (click to zoom). These examples show the benefits of having a powerful genealogist-detective working for you. Thanks to Record Detective™ II, a record you’ve found on MyHeritage can effortlessly open the door to many more records about the same person. These records may come from totally different collection types, and they may originate from another part of the world you didn’t expect. The technology helps you by saving you time and revealing new information you may never have found on your own. Viewing records provided by the Record Detective™ requires a Data subscription on MyHeritage. Some records come from free collections (e.g. the BillionGraves collection of headstones) and can be viewed without a subscription, but the majority are not free. With Record Detective™ II, family history research has just gotten easier and more fun. With billions of new matches available, your chances of finding records through Record Detective™ have significantly improved, providing new insights into your family history and enabling you to make exciting new discoveries. This technology is available only on MyHeritage. If your family tree is not on MyHeritage yet, it’s time to try it – sign up on our home page, and create a new family tree or upload your GEDCOM. 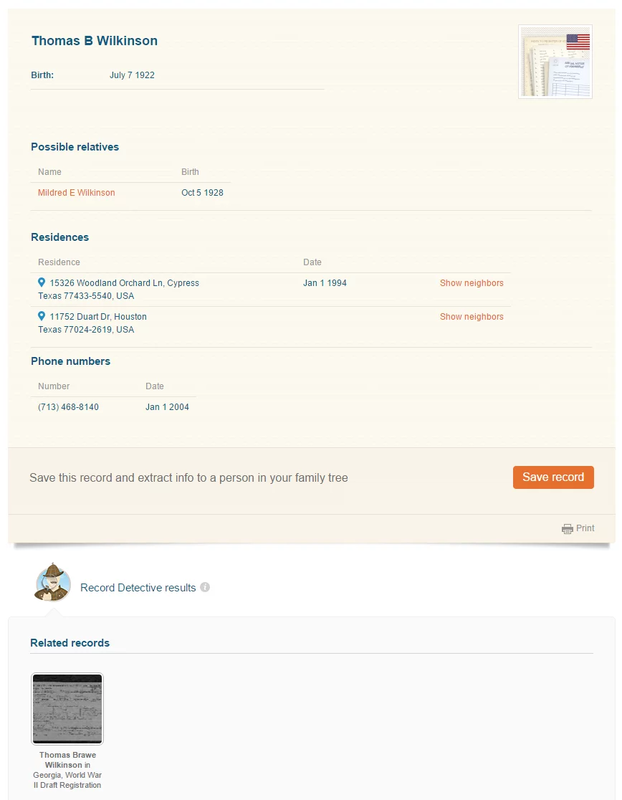 If you are already using MyHeritage, look out for the Record Detective™ II at the bottom of every record. Great addition to your lineup . I fully recommend your products and services frequently ! Looks great, what more can I say. 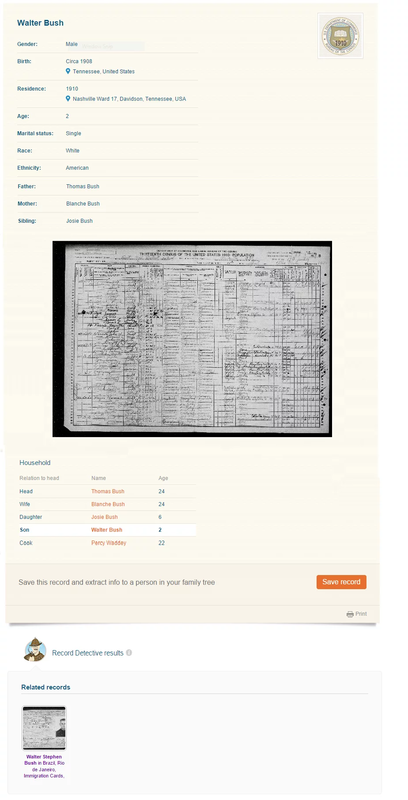 This is going to broaden family tree information and create never thought of new searches, so well done to the team. I have a data subscripton in my Heritage and how can I use your new detectie 11? 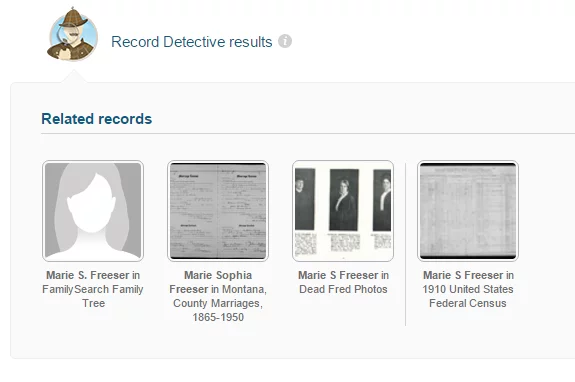 Search in MyHeritage SuperSearch, and you will see Record Detective results (I and II) under your search results, leading you to even more records for the people you are looking for. Again you prove y’all do not stop moving ahead and keep improving. Thanks guys. Your team has named the search method, Prof. Moriarty, I would like to submit that the results should b known as ‘The Houdini package’. I’m having troubles trying to find my husbands line. The McCrae’s of Scotland. See how good you are Mr Moriarty.!!!! I challange you to this!